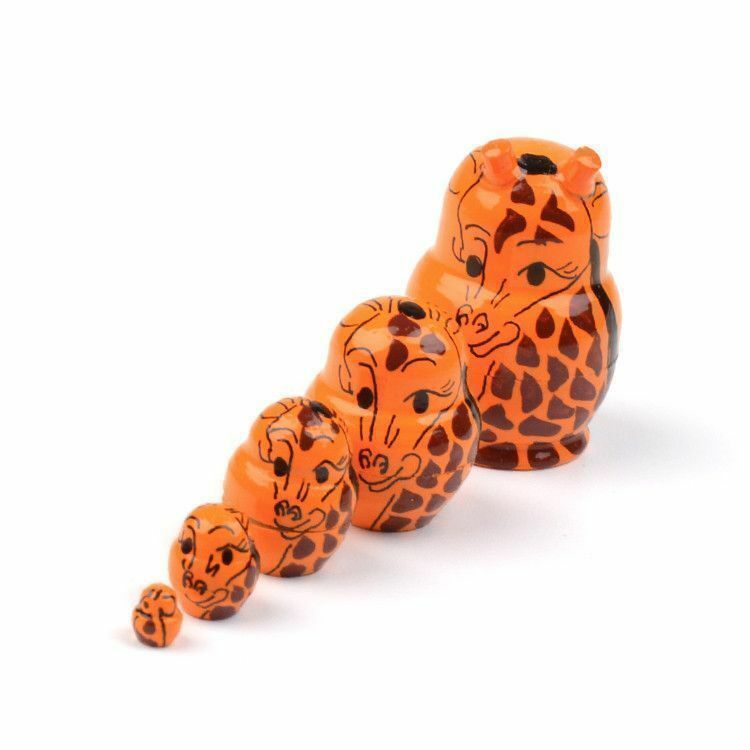 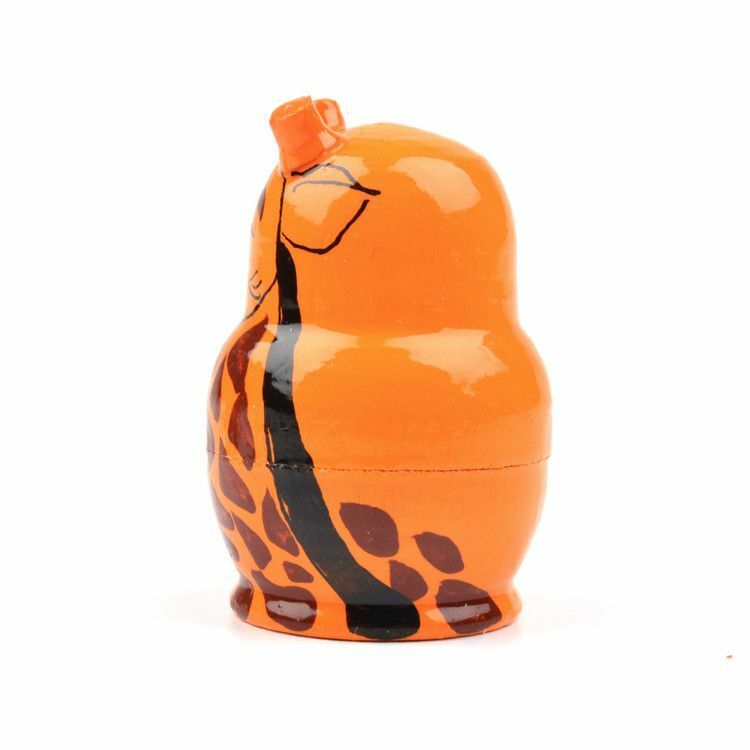 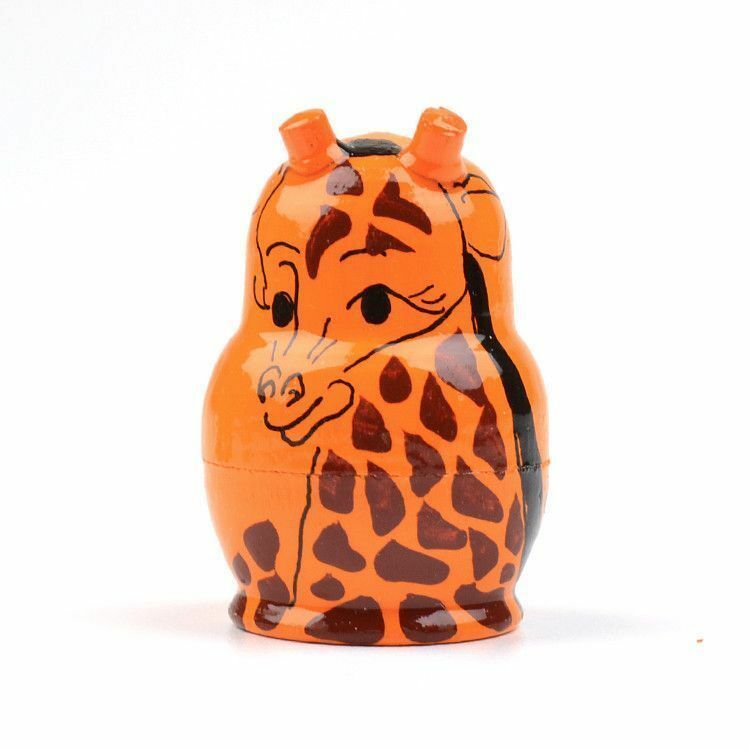 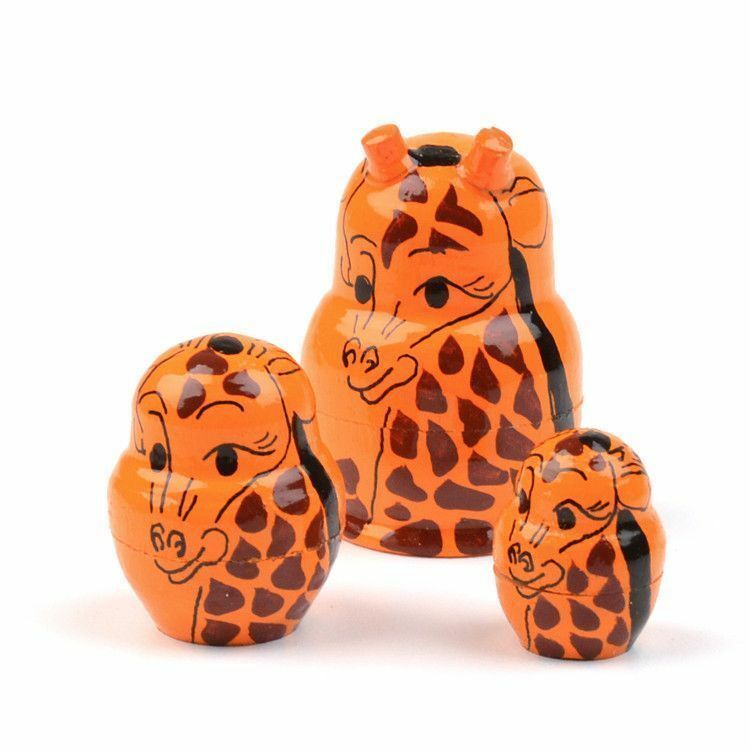 This bright orange giraffe nesting doll is only 1 1/4" tall! 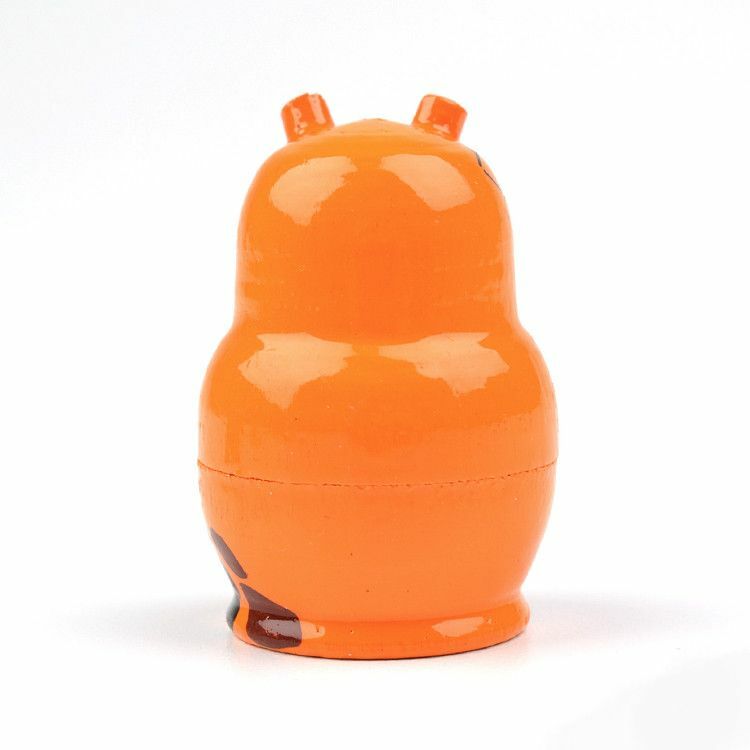 It is one of the world's smallest nesting dolls ever made in Russia. 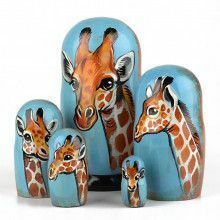 Each doll is made of birch wood and was hand painted and gloss finished beautifully. 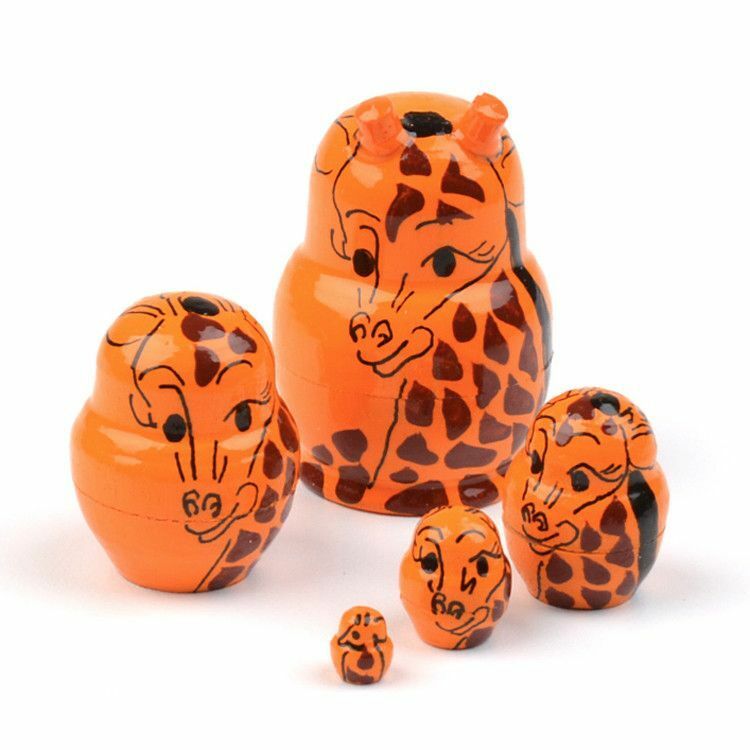 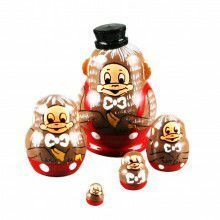 This fun set of nesting dolls is not intended for small children, so ages 10 and up please.